I don’t want to get into rumors but I would like to speculate on this one: Apple may be giving podcast producers and listeners their own app. And if this is true, wow, this could be a huge deal depending on how far Apple wants to take this. I think it’s quite possible that this could be a part of what Steve Jobs said to his biographer when he said he cracked television. If I’m right, Apple could be cracking more than just television but video and audio broadcasts as we know it. And broadcasts would no longer be known as “broadcasts” but as podcasts as well. When I learned about this standalone podcast app, I started digging through Internet tubes to find out as much as I can about it. They all kind of reported the same rumored details. So, it left me to wonder and do what I love to do: speculate wildly. Here goes. Apple could go further by giving the app the ability to subscribe to podcasts, whether in video or audio, and allow producers to charge for them. Yup. This is the key to it all. Imagine a podcast app that allows the producers/authors to charge for their podcasts. First, let’s step back a bit. If you think podcasts now, you think the hundreds if not tens of thousands of audio as well as video podcasts that people can download via iTunes or any other podcast capture app. Some of these podcasts range from mere just ramblings to professional grade productions. Some, again, are just ramblings (like this blog you're reading) that has found an audience to music selections to even dramatic or book readings. And as far as the subject matter, well, there is virtually no limit. Giving podcasts their own app could be a great benefit for podcast discovery. Maybe on the most basic level, this is what Apple hope to achieve. It's just like the apps getting their own app store or ebooks with the iBooks app. Or, Apple is up to something even bigger. If given a subscription function that allows payments, audiobooks could be podcasts and give authors the ability to charge users directly for access instead of going through Audible.com, Amazon, or even Apple’s iTunes. It also works for any other podcasts as well. Sure, Apple is likely going to be collect their standard 30% fee. Before you start thinking about how greed Apple is, consider this. Right now, podcasts are generally free or rely on the goodness of the hearts of its listeners to donate funds. So, podcasters were not making much money if at all. Also, consider authors who likely got very little proceeds from audio versions of their books. There is a podcast called Mysterious Universe that I listen to on occasion during my jogs. It has free podcasts but also has more content available exclusively to paying listeners. More recently, Your Mac Life also switched over to a subscriber model to help foot the fill for the podcast. I can't tell if subscribers also get additional content or not. Even if not, appreciative listeners who want to help sponsor podcasts would be able to do so. All this is done through Paypal or a third party (or themselves). And while they currently don’t have to share their revenues with Apple, by allowing subscribers to directly purchase the paid subs will likely increase the size of the paid audience than they currently have via iTunes. The ease to purchase subscriptions using this podcast app instead of making users go directly to the website could be worth giving some money to Apple. Now, let’s look at what independent studios can do if they want to produce higher qualities of podcasts. They could produce shows like those old-time radios or even videos. The podcast app would allow the studios to be paid. And they would instantly know the size of their audience and the popularity of their shows. Should this take off, this would instantly send chills to the various studios, broadcast channels, and cable/sat TV companies. The shockwaves will instantly upend the ancient distribution models. Howard Stern would not need Sirius but can communicate directly with his audience when they pay him directly. Imagine other celebrities producing podcasts that their fans are willing to pay for. Public radio and television shows can be supported directly by fans if they chose. Suppose This American Life continues to offer its podcasts for free as they do now through the app. Now, they can offer paying subscribers if they want additional audio or even video for the show. And right now, the timing for podcasts to expand could not have been better as throngs of users cut the cable. I’m gonna take this speculation even further. I’m sure you’ve been frustrated by ABC, NBC, Fox, or another channel that puts a show on broadcast but cancels it midseason or kills it before there is a satisfactory conclusion to the show? One show that quickly comes to mind is Firefly (wiki). The podcasting app could have give Josh Whedon the opportunity to release the shows in podcast format and let the fans pay for the show. A meddlesome studio exec would not have been able to interfere with the show. And a show’s continuation and popularity would be directly tied to the number of paying audience for the show. And with podcasts, the broadcast rights would not be limited to American audience but expanded worldwide so that insane contractual agreements would not be able to hinder audience in one country or region from enjoying the show. The question is how likely is this to happen? I think the chance of Apple offering a standalone podcast app is 100%. As to whether Apple will provide the app subscribe and pay for podcasts, I think that’s got a less than 50-50 chance of this happening. Apple might threaten to do this to get terms it wants from studios. And the other issue cost but I don’t see that as an issue. Small producers or studios can get financing from other studios or banks. Even from Kickstarter as well. A video show like those we can on TV can cost tens of millions to produce. Let’s suppose a show costs $50 to $100 million to produce twenty videos. Compensated for Apple’s cut, they could jump to $70 to $140M. Now, suppose each show has an average of 5 million subscribers. It would cost about $15 a season for the $70M show or $30 a season for the 140M show. Not entirely unreasonable. The cost could actually be much lower because the audience could be much bigger. And it’ll be even more profitable if these shows prove to popular and get picked up for broadcast or syndication. Again, this is just speculation on my part and Apple’s new podcast app being used in this manner is highly improbable. Again, if Apple does go this route, it will have a global impact on producing audio/video shows. It could also do something for producers that Google’s Youtube won’t be able to – make money. And if my speculation is even remotely close to what Apple has happened for this podcasting app, it may not be called “podcast” and could be a killer app for its iDisplay, some call it Apple’s HDTV, plans. 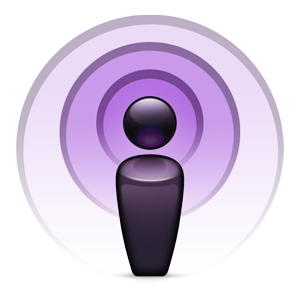 Maybe the podcast app would have a "screencast" component as well.